Norway's Labor party announced Saturday it was withdrawing its long-time, controversial support for oil exploration in the Lofoten Islands. A fishing boat enters the harbour at the Arctic port of Svolvaer in northern Norway in a March 4, 2013 file photo. The prospect of drilling in the waters off the Lofoten Archipelago has been a controversial one. Future oil development in part of Norway’s Arctic offshore waters has become a lot less likely, after the Norwegian Labor Party withdrew support of exploratory drilling near the Lofoten Islands, an Arctic archipelago known for tourism and fishing. The move, announced on Saturday, creates a parliamentary majority opposed to drilling in the area. The Norwegian Labor Party — a long-time supporter of Norway’s oil industry — had previously exploratory drilling for potential future developments. Though party leader Jonas Gahr Store insists that Labor will continue to be a supporter of the oil industry, the announcement withdrawing support for Lofoten Islands exploration signifies a shift within the party perspective. 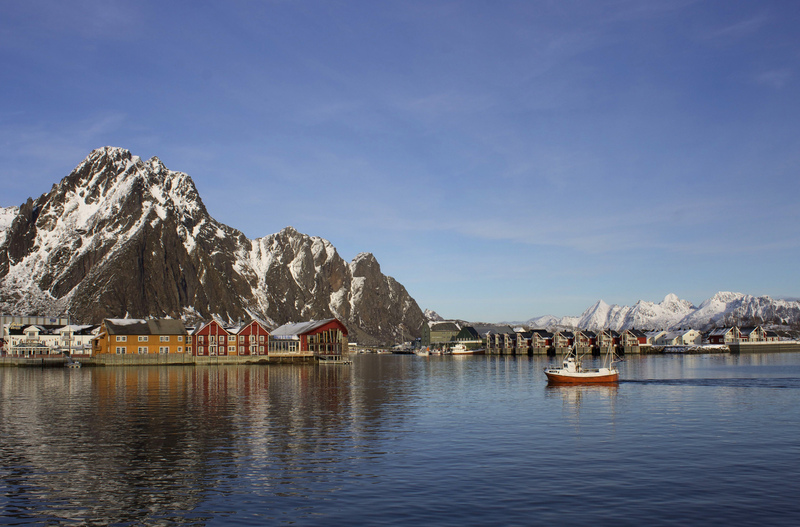 The prospect of drilling for oil in the Lofoten Islands area has long been controversial. Many stakeholders were concerned that oil drilling could not co-exist with fisheries in an area that is critical to the commercial fishing economy of Norway. Still others felt nervous about Norway’s ability to act effectively in the case of an oil spill. Equinor (formerly Statoil), Norway’s largest oil producer, has insisted that oil development in Lofoten is critical to maintain current oil production levels, reports the Independent. With an estimated 1.3 billion barrels of oil in Lofoten and neighboring areas, the potential resources are not insignificant and could contribute to Norway’s already oil-rich economy. Where the Norwegian Oil and Gas Association and others are disappointed by the decision, conservation groups heralded it as a win for stewardship. As oil exploration in the Lofoten area becomes more unlikely, the oil industry fears being edged out of further investments in the Arctic region, Bloomberg reported. The decision from the Labor Party comes shortly after Norway’s trillion-dollar sovereign wealth fund signaled it would begin investing more money in renewable energy infrastructure, points out the Independent. On a broader scale, the Labor decision coincides with overall diminishing public support for the oil industry across Norway. CORRECTION: An earlier version of this article incorrectly stated the size of investments by Norway’s sovereign wealth fund in renewable energy.